When will be The Bachelor Winter Games next episode air date? Is The Bachelor Winter Games renewed or cancelled? Where to countdown The Bachelor Winter Games air dates? Is The Bachelor Winter Games worth watching? America's favorite participants from past seasons of "The Bachelor" and "The Bachelorette", from arch rivals to villains, will take competitive dating to a chilling new level. In an ode to the Winter Olympic Games and slated to premiere in February 2018, The Bachelor Winter Games will reunite the all-stars at a luxurious winter resort, where they will go head-to-head in winter-themed athletic challenges including the toughest sport of all, love. Baby, it's cold outside when 25 bachelors and bachelorettes from around the world meet in the streets of Manchester, Vermont, for a grand celebration of unity and love. Romantic connections are well underway as the participants arrive at an ice rink for their second winter games challenge – speed skating. Chris Harrison and Hannah Storm are at the anchor desk with Ashley Brewer on the sidelines to recap the qualifying rounds where some stumble, some speed and some trudge to the finish line. After a surprising twist, two unexpected skaters win a coveted date card. One winner and his lady of choice go on an adventurous tubing date where concerns are brought up that lead to a relationship-defining conversation. Another couple takes a picturesque horse-drawn carriage ride and establishes a deep bond in a woodburning hot tub. One bachelor ends a short-lived courtship for another lady; but everyone knows that in Bachelor world when one door closes, another is always ready to be opened, especially when Jordan from New Zealand finally shows up to the villa. At the rose ceremony, the remaining participants have no idea what to expect until Chris Harrison makes an important announcement that sends some people scrambling in order to avoid being sent home. 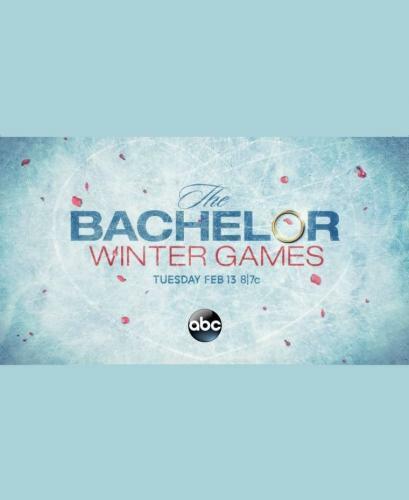 The Bachelor Winter Games next episode air date provides TVMaze for you. EpisoDate.com is your TV show guide to Countdown The Bachelor Winter Games Episode Air Dates and to stay in touch with The Bachelor Winter Games next episode Air Date and your others favorite TV Shows. Add the shows you like to a "Watchlist" and let the site take it from there.